Marketing is like cooking a meal: You’re mixing a bunch of different ingredients, each having its own purpose and proportion. And just like becoming a chef, mastering digital marketing doesn’t happen overnight: It takes time, patience, and a lot of experiential learning. To help with this learning curve, LinkedIn has produced dozens of guides, whitepapers, and online courses focused on helping you create a better strategy for reaching and engaging your audience. Today, we’re happy to announce that we’ve made these resources easier to find by collecting them all on our LinkedIn Marketing Resources page. Through this convenient content hub, marketers can download expert insights and straightforward guides to build and refine a marketing strategy that maximizes ROI. Read on to learn about five popular resources (among the dozens available) that will help you cook up a better LinkedIn marketing strategy. 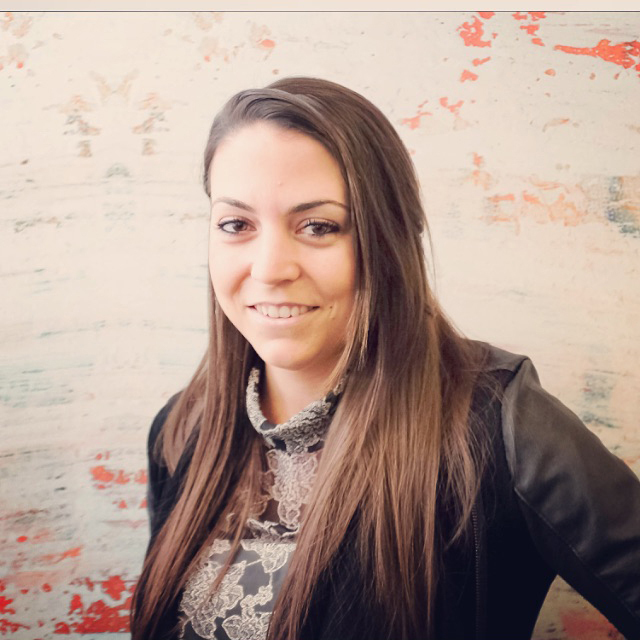 With tight budgets and lean marketing teams, efficiency is a marketer’s best friend. This guide shifts focus away from lead generation and focuses on the entire lead pipeline, as well as revenue. Sophisticated marketers can use this guide to move “beyond the click” and use attribution and measurement to evaluate leads on the basis of their quality, rather than their quantity. Discover the cutting-edge best practices for incorporating LinkedIn’s campaign channels into your digital marketing strategy. Here at LinkedIn, we want every business to enjoy the same success we’ve had building our brand through our marketing solutions. 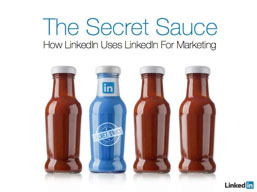 So we put together a guide to our “secret sauce” that features all of the tips, tricks, and insights we apply to our own marketing strategy through LinkedIn. Download this guide to learn how we define our marketing goals within the platform, how we develop our bidding strategy and budget management, how we balance unpaid and organic campaigns, and other useful lessons we’ve collected through our first-hand experience. If you’re new to promoting your business on LinkedIn, this free online course will teach you the basics of navigating the platform, creating original content, targeting an audience, publishing ads, and tracking campaign performance. Marketers should watch this series of short, informative videos to get a step-by-step tour of these LinkedIn strategies and tools. At the end of the course, you will have enough information to create your first campaign and measure the results. Your LinkedIn Company Page has the potential to be a highly valuable piece of real estate. When your Company Page optimized to serve your marketing goals, you’re far more likely to engage your target audience. 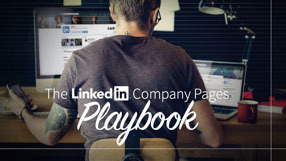 This downloadable playbook will help brands create a Company Page that builds thought leadership, attracts sales prospects and potential new hires, and serves as a hub for targeted content. Use this guide to turn your Company Page into the high-value destination it can be. Every brand wants to know how to get its content in front of the 500+ million professionals on LinkedIn. 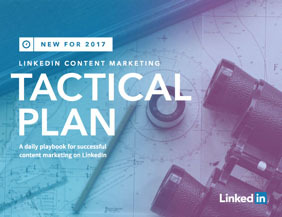 This tactical plan is designed to help you incorporate LinkedIn into your integrated marketing strategy. 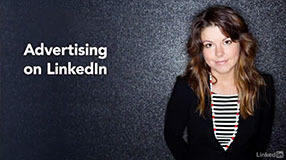 You’ll learn how to drive tangible ROI from all of LinkedIn’s marketing solutions. This guide will teach marketers which types of content perform best with each campaign channel, as well as the anticipated time investment required for each channel. You can also download a 1-page printable plan to help build a killer content strategy for LinkedIn. When you have questions about accomplishing goals on LinkedIn, you no longer need to scour the Web for answers. 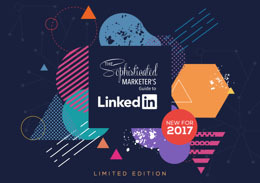 Bookmark the LinkedIn Marketing Resources page and make it your first stop for marketing guidance. For more tasty tidbits to elevate your marketing game, subscribe to the LinkedIn Marketing Solutions blog.